Bonfiglioli is a leading company in the global power transmission and renewable energy market. 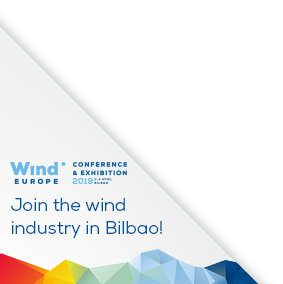 Working closely with its customers to develop tailor-made applications Bonfiglioli supplies own-made integrated solutions in the wind sector to control the energy generation. Most of the worldwide WTG manufacturers already use Bonfiglioli wind solutions. Founded in 1974, Hine is a leading supplier of hydraulic systems, hydraulic components, and cooling systems for industrial and renewable energy companies. The company’s in-house engineering team, extensive R&D portfolio, and global manufacturing capabilities deliver competitive hydraulic solutions to customers worldwide. Seven production sites—in China, Spain, U.S., Brazil, and India—enable fast, reliable solution delivery so clients can accelerate project readiness. From production through post-sales support, Hine Group provides a comprehensive package of hydraulic products and services designed to give our customers a rapid response and outstanding service. Mersen offers multiple solutions for wind energy encompassing: signal transfer systems; carbon brushes and brush-holders; slip ring assemblies; surge protection devices; fuse and fusegear; high power switches; bus bars; cooling devices; services. Mersen is a leading supplier to the wind energy segment in both the original equipment and replacement markets. Born in Milan in 1926 Ravioli successfully projects and produces electrical devices for several scopes of application. Ravioli manufactures limit switches for yaw and pitch control for onshore and offshore applications. We provide our customers with a global service from study about custom-made projects to a post-sale service. SKF is the leading supplier of bearings sealing solutions lubrication systems and condition monitoring to the wind energy industry. With a global network of manufacturing units and local engineering sales and service SKF is active as supplier and development partner to leading manufacturers and a competence supplier to windfarm operators.